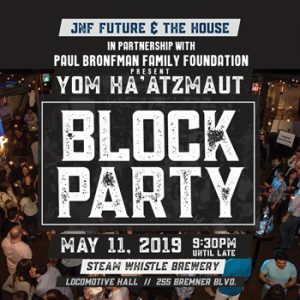 JNF Future & The House Presents: Yom Ha’atzmaut Block Party! Join us for a night of music, drinks, food and most importantly to celebrate ISRAEL! All funds raised from this event will go towards supporting the Jaffa Daled Education Center in Israel. Use promo code: House100 for an exclusive discount!